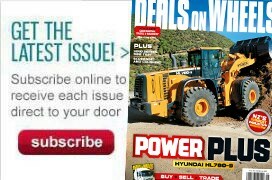 The Hyundai HL770-9 wheel loader offers everything an operator can expect in this class – and then some. 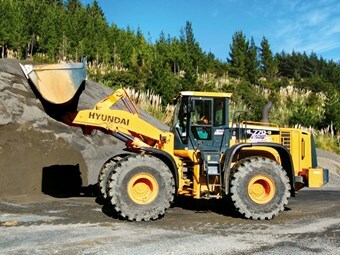 The Hyundai HL770-9 wheel loader at Matatoki quarry. The Hyundai HL770-9 is the newest addition to H G Leach & Co's 26-strong heavy plant and equipment fleet, which includes bulldozers, hydraulic excavators, articulated and rigid dump trucks, landfill compactors, front end loaders, telehandlers, crushing plant, graders, rock breaker equipment, impact crushers, screening plant, and construction rollers. The company also hires in equipment when required. The new wheel loader is cycled around quarries as the work load requires. Graham Leach says the HL770-9's performance has delivered some pleasant surprises that exceeded the team's expectations. "The days when quarrying work was carried out with a shovel and a belt-driven crusher are long gone. "Today's quarries and landfill operations require plant and equipment that is technologically advanced, safe and comfortable for operators. Modern, well-maintained equipment not only aids production, it also assists in achieving environmental objectives by minimising noise and maximising output. "We value our workers and their expertise and opinions highly. 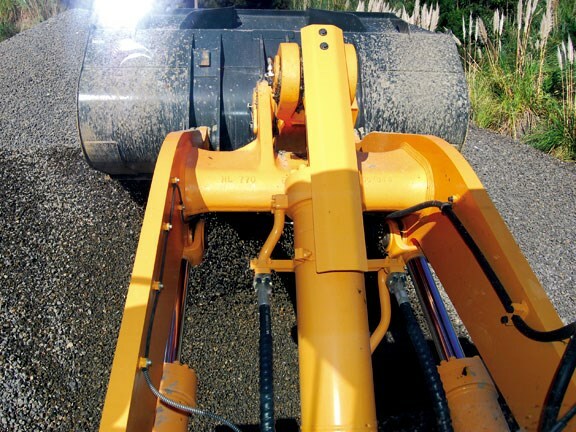 Feedback on both the machine's performance and operator satisfaction has been pretty good." 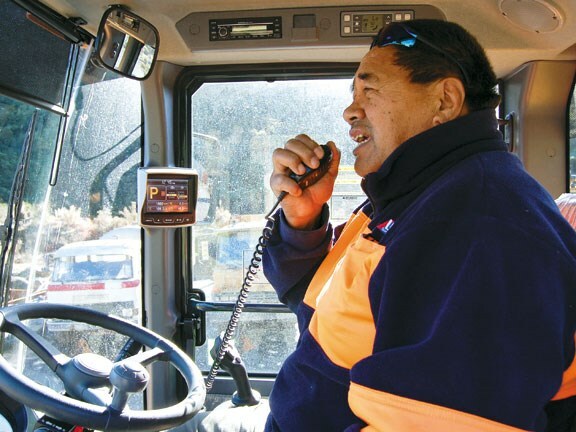 Operator Koru Tuhoro, who showed off the HL770-9 to Deals on Wheels at the Matatoki quarry, agrees with Graham. Koro has done about 20 hours on the HL770-9 and likes it, saying "…it goes pretty well". He says he has seen tremendous advancements in the technology equipment uses, and modern loaders can do roughly twice the work in the same time compared with when he started work 25 years ago. "Those days they were slow and noisy, and you either got fried or frozen working on it," he remembers. 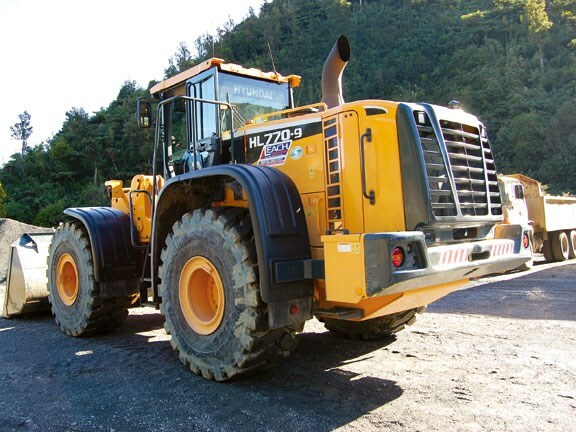 "The HL770-9 has lots of power, and the cabin is very comfortable, it's comfortable to operate, and easy with the controls…it makes the work day much easier." 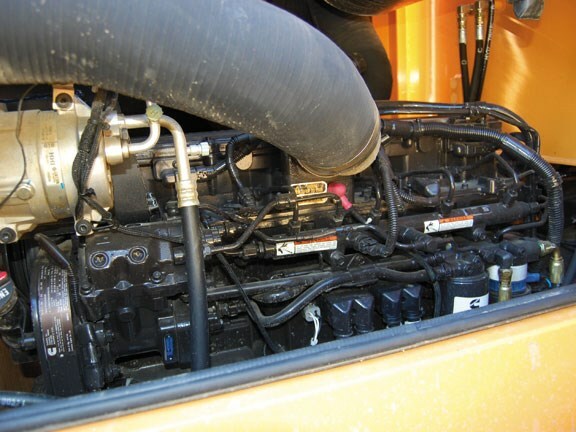 At the heart of the loader's grunty performance is the low noise 280hp Cummins QSL engine, capable of delivering a maximum torque of 1451Nm @ 1400rpm. 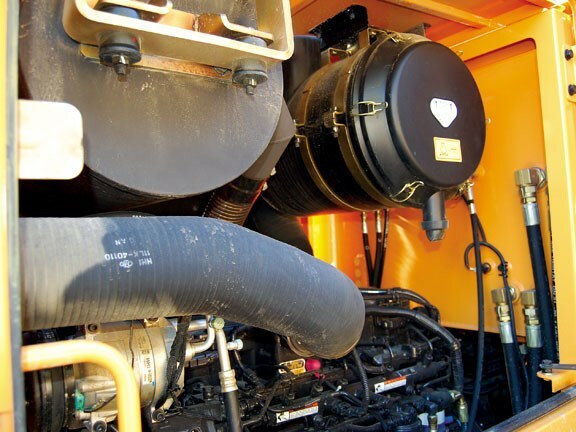 The combination of a high pressure common rail system and an advanced in-cylinder combustion technology results in increased power and reduced fuel consumption. Advanced full-authority electronic controls power these high-horsepower products, allowing them to comply with the current emissions standards including EPA Tier3 and EU Stage IIIA. The large capacity 4.3m3 bucket comes into its own with the newly designed articulation gear, load sensing flow sharing Rexroth hydraulic system, variable displacement pump and closed centre main control valve technology. Graham says of the load sensing system: "It's a good not to have it [the loader] idling away at full power when it's not in use. Only working when you want it - that kind of small saving can make a big difference." For Graham the selection by rotational switch of the operating speed's power, standard, and economy, also stands out. "It's a real luxury, the first and only one of its type we have operated, and very useful the way fuel prices are going." To complement this energy saving feature, the machine also has four automatic modes - manual, light, normal and heavy, for various applications. The limited slip differentials, which give maximum traction and improved driving on difficult ground conditions, supplement this feature, while the self-adjusting in-wheel hub mounted brakes automatically compensate for disc wear, improving brake performance. Standard on all new Hyundais is the auto-reversing hydraulic-driven cooling fan. The cooling fan and fan motor are integrated into the rear door, mounted on the back of the machine for easy access and regular maintenance. The fan regulates fan speed according to actual temperatures of engine coolant, air intake, transmission oil and hydraulic oil. The new fan design reduces fuel consumption and machine noise. The automatic or manual auto-reverse function blows debris out of the coolers. 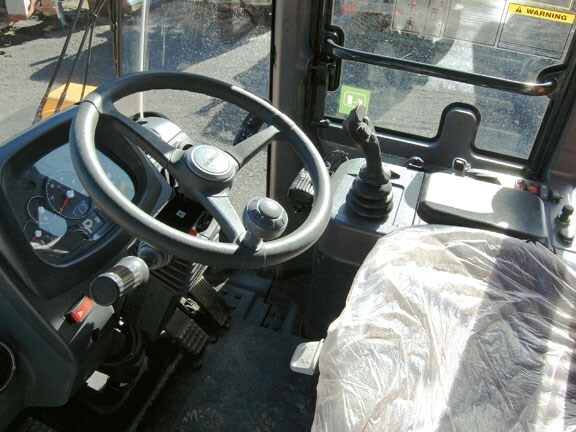 The cab was enlarged and redesigned to improve overall safety and visibility, and enhance operator comfort. There's a climate control system, standard on all new Hyundai heavy plant, with full automatic temperature control. The cabin has 17 percent more glass than the previous model, and 11 air vents. Another new Hyundai standard is the HI-Mate fully functional GPS-capable satellite system. The remote management system keeps the operator or fleet owner up to speed on all machine functions, fuel efficiency and diagnostics through an internet portal, accessible by the H G Leach workshop as well as Porters. Having done 150 hours, the machine was due for its first full service. 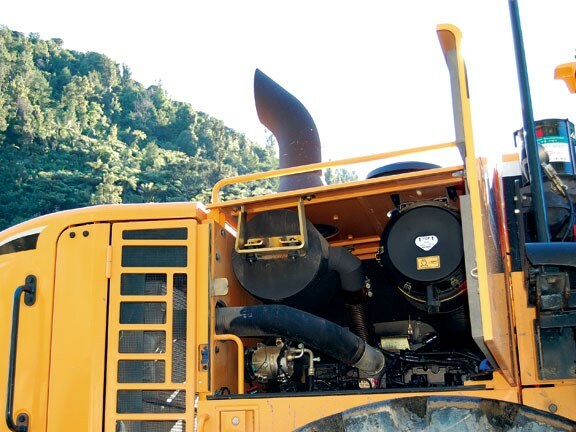 Porter Equipment says feedback from customers indicates mechanics like the ground level access of service points such as fuel and oil filters, grease fittings, electric fuses, electronic components, and coolant and transmission oil light gauges for easy maintenance. The 9 series machines have extended lubrication intervals and the life of components. 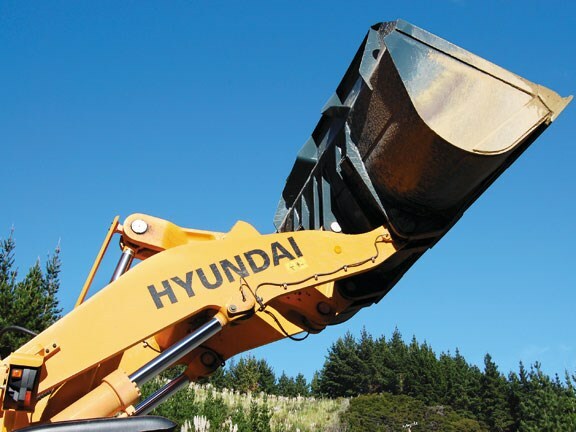 The long-life hydraulic filters last up to 1000 hours and Hyundai's certified long-life hydraulic oil only needs to be changed every 5000 hours. In addition, a new centre pivot roller bearing, now double tapered, requires less maintenance.